Chronixx in Montreal or Quebec City? Inform me about the next events for Chronixx. Enroll yourself to our priority waiting list for Chronixx to be alerted when new tickets are available. Filling this form doesn't engage you to any purchase. Chronixx will be performing at the Montreal Olympia on Wednesday, April 26th, 2017 ! The popular Jamaican musician is on a mission : to make sure the younger generation gets to discover the roots and the culture of the reggae universe. 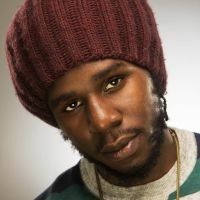 Chronixx is the son of legendary dancehall artist Chronicle, and he grew up surrounded by legends such as Burro Banton and Gregory Isaacs. Reggae fans will be happy to see him perform live at the Montreal Olympia, a rare visit in Quebec for the reggae master !